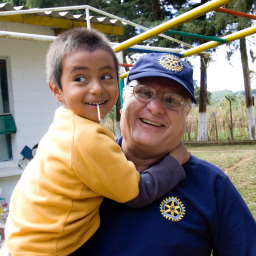 Rotary International and your Rotary Club strive to create and maintain a safe environment for all youth and vulnerable adults who participate in Rotary activities. To the best of their ability, Rotarians, spouses, partners, and other adult volunteers should safeguard the children and vulnerable adults they come into contact with and protect them from physical, sexual, and emotional abuse. This also applies to those in a position of trust who administer such programs. To achieve these goals we encourage all Rotarians to apply for a background check also called a Criminal Record Check (CRC). There are a number of means to do so and two of them will be reviewed on this site. To determine if you already have a CRC log on to your ClubRunner site and check. More information available at How do I know if I have a CRC on file? If you already have a valid CRC you are finished and no further action is needed. eCRC from the BC Department of Justice. You apply online and it's fast, centrally controlled, shareable with other registered organizations and may not require a physical presence at a Police or R.C.M.P. office, More info and detailed instructions on how to apply at Criminal Record Review Program. Two pieces of identification, one of which should be a photo id. A Volunteer Confirmation Letter (Download Sample) from your Club identifying you as a volunteer. This letter should waive the fee. (please note that waiving of the fee is at the discretion of the municipality and is not a decision of the police). Complete the application and hand it back to the detachment clerk. The processing time varies depending on the applications ahead of you. Once complete, it will be returned to the detachment and then you will be contacted to pick it up. To ensure that it gets into the right hands, turn it over to your Club Secretary. Although there is a CRC which covers all volunteers, every organization that requires a CRC from its volunteers does so because of their specific needs. It is unusual and very risky for any organization to accept a CRC that was not generated with that agency identified on the approved member application.